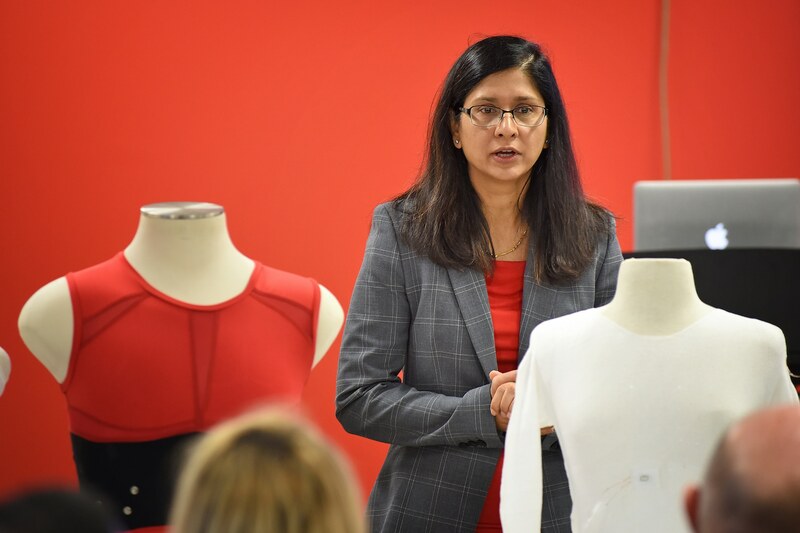 Dr. Veena Misra, Distinguished Professor of Electrical and Computer Engineering at NC State University and the Director of the NSF ASSIST Nanosystems Center has been selected by the IEEE Sensors Council as a Distinguished Lecturer for 2018-2020, on the subject of Self-Powered Wearable Sensors for Health and Environmental Monitoring. The IEEE Sensors Council’s Distinguished Lecturer Program (DLP) promotes the field of Sensors to the broad engineering and scientific community, and to the public at large by providing lecturers who are acknowledged and eminent scholars in pure and applied sensors and sensors related technical fields, and who can be selectively invited by “local” entities globally. Lectures are meant to be public events and can be given at local IEEE chapters, at universities and companies, high schools, and science fairs. Misra has made significant contributions to the University, not the least of which has been leading the proposal effort for the ASSIST Center and subsequently leading it successfully through its last critical review and renewal. Misra’s awards and recognitions include the 2001 NSF Presidential Early CAREER Award (PECASE), the 2002 ALCOA Research Achievement Award, the 2007 NCSU Alumni Research Award, and the 2011 ALCOA Distinguished Research Award. She was elected IEEE Fellow in 2012. In 2016, Misra was named a Distinguished Professor of Electrical and Computer Engineering at NC State.